Please donate monthly to help Wateraid provide means to build water pumps to deliver clean drinking water and save children from dying every day. £3 pays for life-saving treatment for eight children with diarrhoea. £25 buys ‘safe birth kits’ for five women giving birth at home. I encourage you to donate to this great organization that helps millions of children deprived of basic necessities – food, shelter, basic education. 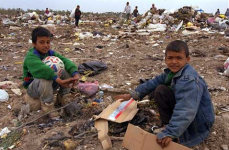 Please signup for a monthly donation to their website and help them serve children in dire need of some basic supplies just to live barely like a human being. Please Donate to Save the Children. 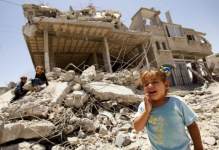 Help Gaza rebuild from the ashes of the heinous war. £27 a month can sponsor an orphan child, who has lost everyone and living in the streets with no provision of food, medicine or clean water. £150 a month can sponsor a family who have lost their home, means of earning and living in one of the most inhospitable city in the world without clear drinking water and basic sewerage facilities. 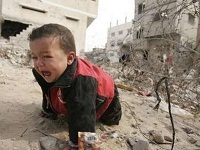 Please extend your helping hand to the orphans and families in Gaza. I would appreciate it very much if you make a donation and leave a comment below. May you and your loved ones be rewarded immensely for your contribution to humanity. Your tireless efforts and contributions are stellar. I have spent over a year working with your Dropthings framework. It’s nice to have someone with true Entrprise world-class skills providing such a beneficial technology and framework that can stand up to the biggest challenges. We wanted to repay you in some way for your efforts and I was even more humbled as I learned you preferred donations. I then learned about the type of donations you are seeking and whenever anyone donates, I imagine, they want to make sure it truly helps people. Thank you for showing us how we can help. Thank you Jim for your generous donation. You have donated $500 which converted to £301.45. 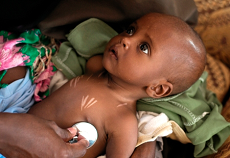 I have donated £150 to Save The Children East Africa Emergency deal and £160 to Muslim Aid for Orphan Fund in Palestine. From your $500, charities will receive in approx $625 in total because of the UK Gift Aid scheme. Thank you! Thanks for your great efforts, god bless you ! Brother, it really nice to see you severing both the technology world and the needy people. Inshaallah you may getting reward of this works in aagirath. Hi, we are with Southern Sudan Humanitarian, a non-profit organization dedicated to supporting orphans in the war-torn region of Southern Sudan. To sponsor an orphan, please visit sudanhelp.org to learn how you can help give these children hope for the future. Thank you and God bless you! For the first time on internet have I seen such a wonderful person. I kneel down to your humble efforts. Keep up the good work! For your book dropthings and articles I’ve learned so much. I want to build something so that they will come and toss coins and a few dollars for water for children. I am based in America. Can I make a website like this? It will take me a year but I will build it. It is a serious request. I wish to work with/for you in any possible way. Please provide me an opportunity sir. I am very much glad to know about your technological and humanitarian work for all sorts of people. May almighty Allah bless you for your work. জাবির ভাইয়্যা, কেমন আছেন? আমি লন্ডন থেকে মোহাম্মদ সেফুল মিয়াঃ,আমি I T বিষয়ে স্টাডি করতেছি আপনার কাছ থেকে আমি দুয়া চাই আমার জন্য দুয়া করবেন. 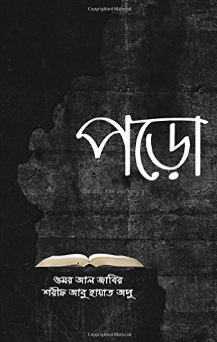 বেশি বেশি বালো তাকেন. আস্সালামুয়ালায়কুম.. I am really so happy to read your profile. I am also a programmer works at Coats Bangladesh & want to intimate with you. I would like to work. Pease help to advise the opportunity. I would like to work. Please help to advise the opportunity. Thanks for your great contribution in both technology site and needy people. Insha Allah, you will get rewards from Allah. Best of luck. You are doing great jobs. May Allah bless you more and more to serve the humanity..
You are a realy great. Appreciate you again and again. Your dropthings and articles ,It.is great effort! and very important in IT field. May Allah accept all kind of contribution for humanity. you are doing a great job. You enlighten our Bangladesh all over the world. Today the daily Prothom-Alo published articles about yourself. May Allah bless you. I swear if I’ve an international credit card I’ll first donate to your charity as my first expense online. I’m proud that I’m Bangali. i want contract With u . how can i contract whit u? I feel very proud and happy for you as you are my native brother, but more than anything i sincerely salute and respect you for your noble charity for the poor human being. I live in Birmingham and would be greatly honoured if you ever visit Birmingham and spent some time with the Bangladeshi community here to inspire them. I pray for your good health. Thank you for ur initiative for the betterment of humanity.Me,my family & my organization wishing ur job.Go ahead we r with u. Your dropthings and articles is really great effort! You are really a great man. you are not only a great architect but also a great human being. carry on brother. Dear Sir, I am from Bangladesh. I have impressed to know you via prothom alo. I am very small and poor knowledgeable bukt want to do something for poors & workless. If you help me, I can give 100 H.S.C. levels men’s income opportunity as 5 hour work / day vs $400 /month. If you provide me outsource work for 500 hour / day for 100 then at least 100 will got chance to not addicted . Can I expect your help? You can provide me another way by your extra ordinary talent. I am an M.Sc in Chemistry . If you interested to know, I’ll provide you my dream for men. I have time to work as a data entry or others if you have any opportunity please inform me.. Please keep it up; excellent humane deed. I am really so happy to read your profile. I am also a programmer works at Coats Kashmir & want to intimate with you.Today Muslim community needs people like U . Whatever efforts your doing for people of Gaza is really appreciable. But I just wonder one thing that your efforts is restricted to Muslims only though in your own home Country Bangladesh millions of Hindus were forced, Kids were raped and homeless just because people couldn’t tolerate other religions. As a human being the efforts you are taking is really great but I just wonder why you are so restricted about ur own religion only. Though whatever happening in Gaza is not a one sided affair as Philistines are equally responsible as they keep firing rockets on Israeil which is wrong and innocents people are suffering. As a true Muslims you should also do some lectures on teaching about peace. Hi Armaan, thanks for your views. The first charity listed on this page is Wateraid, which works in many poor countries, regardless of religion. thank you for the lesson and inspiration you gave us. Just started to follow your works on both technology and needy people….Definatley i’ll give 100% contribution. Thanks for your inspirational works and thoughts. Please let me know, How can I donate in Wateraid from Bangladesh? I would suggest contributing to Bangladesh charities. People in Bangladesh are in very poor condition and they need local help. You can probably talk to the http://shorobor.org/ org to give them a hand. how does a person without having any means of paying online donate from Bangladesh? I mean I don’t have any credit card and would really like to donate for those in need in sha ALLAH. Could you please help me with this? May Allah reward you with everything good both in this life and in the hereafter.